Attending open days and researching our courses will help you decide! Once you’ve selected your course or subject, click on the green ‘Apply Now’ button under the study location of choice. This will take you to our application portal where you will be asked to create an account to begin your application. You will be able to save and return to your application while it is in progress. Need to return to your application? Click on the image below. We can also send you a paper application form, upon request, and we may come into school to speak to you about the application process. 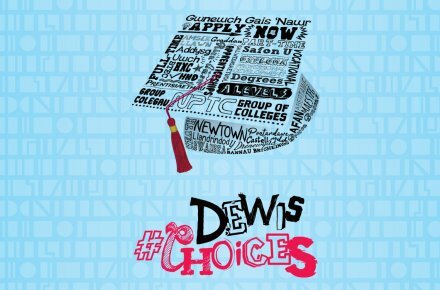 Pupils attending schools in the City and County of Swansea will have to make all their applications for choices via the UCAS Progress website. Please ensure you check your account on the UCAS Progress website regularly for any updates or messages. Once we have prcessed your application, we’ll invite you to attend an Information Evening. It’s your opportunity to find out more about the course you have selected and meet the lecturers who’ll be teaching you. If necessary, we can offer you further advice and guidance. When you are happy with the choice you’ve made, we’ll make you a conditional offer by e-mail. This will confirm the course you’ve applied for and the grades you’ll need in order to enrol onto the course. You then accept the offer by following the instructions on the e-mail or by contacting the Admissions team on 01639 648033. Don’t forget to visit our Student Zone where you’ll be able to find even more information about joining College. 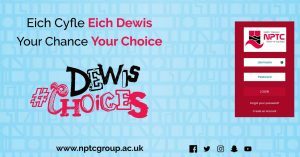 You will receive an information pack containing additional details about student life at NPTC Group and giving enrolment and term dates. If you have not achieved your desired examination results, don’t worry, staff will be available during enrolment to give advice and guidance about possible changes to your original course. If you have achieved the necessary grades, but would like to change your original course choice, you can also do this during enrolment. We’ll keep in touch with you by e-mail throughout the application process. You can also like and follow us on social media to keep up-to-date or contact us.